It’s that time of year again in Colorado, the cold weather is on its way. Beginning on September 1st, commercial vehicles traveling along I-70 in Colorado, between Dotsero and Morrison, must have sufficient chains or alternative traction devices to be in compliance with the Colorado Chain Law. This include vehicles with a “gross combination weight rating of 26,001 or more lbs… [through] vehicles designed to carry 16 or more.” For additional information about CDOT requirements, click here. McGee Company carries a full line of tire chains from LaClede Tire Chains and Quality Tire Chains to cover the Rocky Mountain area for passenger, commercial, and OTR vehicles. Looking for chains this year for winter traction? Check out our sizing guide for passenger vehicles or talk to a sales representative at 1-800-525-8888. If you are looking for an alternative to chains for something more lightweight and easier to apply check out AutoSocks. 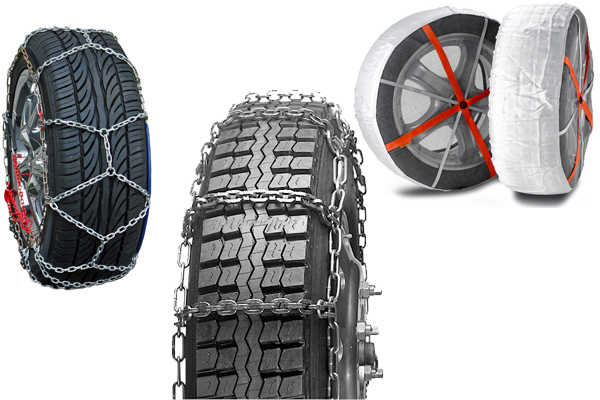 They are now approved nation wide as an alternative traction device to chains. Stud Gun Repair from McGee Company on Vimeo.